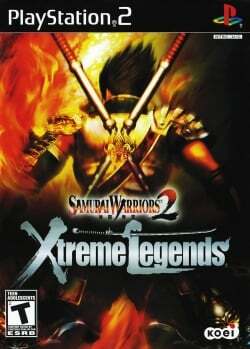 Game description: Samurai Warriors 2 takes you back in time, to an era where honor and swordplay defined everything. Long before the twilight of the samurai, Japan was ruled by powerful leaders hungry to unite the land under one banner. The samurai and ninja who defended their land and honor became legends. If you prove yourself worthy and honorable, you can join them. Expansion to Samurai Warriors 2, containing new characters to the series, including Maeda Toshiie, Gracia and Chōsokabe Motochika. Imagawa Yoshimoto from Samurai Warriors: Xtreme Legends returned in the expansion with an updated character design, and Shibata Katsuie and Sasaki Kojirō from Samurai Warriors 2 Empires are also playable and have new weapons. A new mode known as Mercenary Mode is in the game. It resembles Xtreme Mode from Dynasty Warriors 5: Xtreme Legends. Playable characters can now be upgraded to level 70. USA v02.20(10/02/2006), light game for any cpu/gpu. This page was last edited on 4 March 2018, at 17:02.